NEW: Two stunning sock and two shawl designs for Patonyle or Patonyle Ombre 4ply knitting yarn. The Lacy Cover-Up pattern features an extended size range from S - XXXL for increased versatility. Lace Cover-Up (Intermediate Knit, 3 sizes S-M to XXL-XXXL) 8-12 balls Patonyle Merino Ombre, using 3.25mm & 4mm pairs and a 3.25mm circular needle 100cm long, crochet hook to attach fringe. Uses the Ombre gradation of the yarn to best effect for eye-catching results. 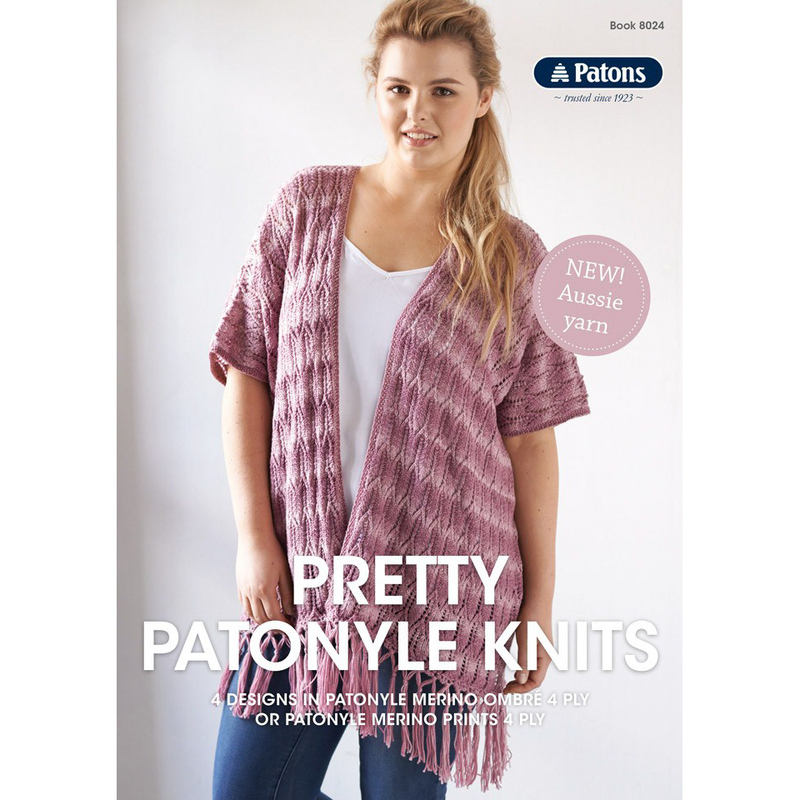 You can find Patonyle Ombre knitting yarn by clicking here. This product was added to our range on 27th September, 2018.